When an infectious agent enters the human body, the immune system responds to get rid of it. But how does the immune response get started? That was the question that intrigued Ralph M. Steinman (1943-2011) when he joined the Rockefeller laboratory of Zanvil A. Cohn (1926-1993) in 1970, and it led him to discover a new type of immune system cell—the dendritic cell. Steinman soon established that dendritic cells are the sentinel cells of the immune system, initiating the immune response. Subsequent research has revealed that their roles are in fact even more complex: dendritic cells are now known to orchestrate the interactions of more than a dozen types of immune system cells, and they also play a role in preventing the immune system from attacking the body's own tissues. Understanding the basic biology of dendritic cells is leading to ways to harness them therapeutically in treating cancer and autoimmune diseases, and in developing new vaccines. Steinman and Cohn began by studying cultures of cells called macrophages, which were known to be important in the immune response. When these experiments proved disappointing, Steinman decided to take another tack. Other investigators had shown that an immune response could be stimulated in a mixture of T cells, B cells, and unknown "accessory" cells harvested from mouse spleen. When Steinman looked closely at the accessory cells using phase-contrast light microscopy, he saw something new: large cells with branch-like projections, which continually extended and retracted. He called them dendritic cells, after the Greek word for tree. In the following years Steinman and colleagues characterized dendritic cells and proved their potency in initiating a T-cell response, a crucial step in the immune response. 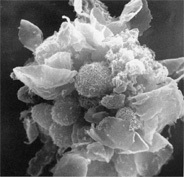 They also developed techniques to grow dendritic cells in culture rather than isolate them from mixtures of immune cells. Making cultured dendritic cells readily available for study opened the door to other researchers, and today hundreds of laboratories around the world devote their work to the basic biology and clinical applications of dendritic cells. Many groups are now using them as part of immune therapies for cancer. Steinman and his colleagues are developing novel ways to target dendritic cells so as to enhance the response to vaccines, and to protect against HIV and other infectious diseases. Ralph M. Steinman received the BS from McGill University (1963) and the MD from Harvard University (1968). He joined The Rockefeller University in 1970, after an internship and residency at Massachusetts General Hospital. He has remained at Rockefeller his entire career, becoming professor in 1988 and Henry G. Kunkel Professor in 1995. 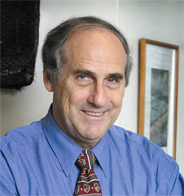 Steinman's achievements have been recognized with, among others, the Gairdner Foundation International Award (2003) and the Albert Lasker Award for Basic Medical Research (2007). He is the recipient of four honorary degrees and has been elected to the U.S. National Academy of Sciences and its Institute of Medicine. Steinman also is an editor of the Journal of Experimental Medicine.